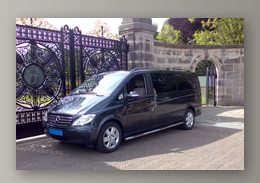 Established since 1976 as the first trueÂ company providing exclusive chauffeur driven transportation in the Netherlands, Holland Limousine Services is proud of the reputation it has built up during the past thirty years. Only through providing the best service possible, which includes using only the finiest cars and the most professional chauffeurs, has the company been able to claim the position, it now has in the chauffeur driven market. Not only the Netherlands, but all around the world today, Holland Limousine Services is synonymous with "Outstanding service, always."